Read more here for the story of Natasha and Tim’s engagement story, previously featured on the blog. Community is an essential part of the celebration of marriage. Although it is a sacrament conferred between two people, marriage is always meant to point outward, to be open to life and service in a myriad of ways, and to become the foundational unit of the larger community. Natasha and Tim celebrated this communal aspect of marriage by intentionally inviting their friends and family into the preparation. 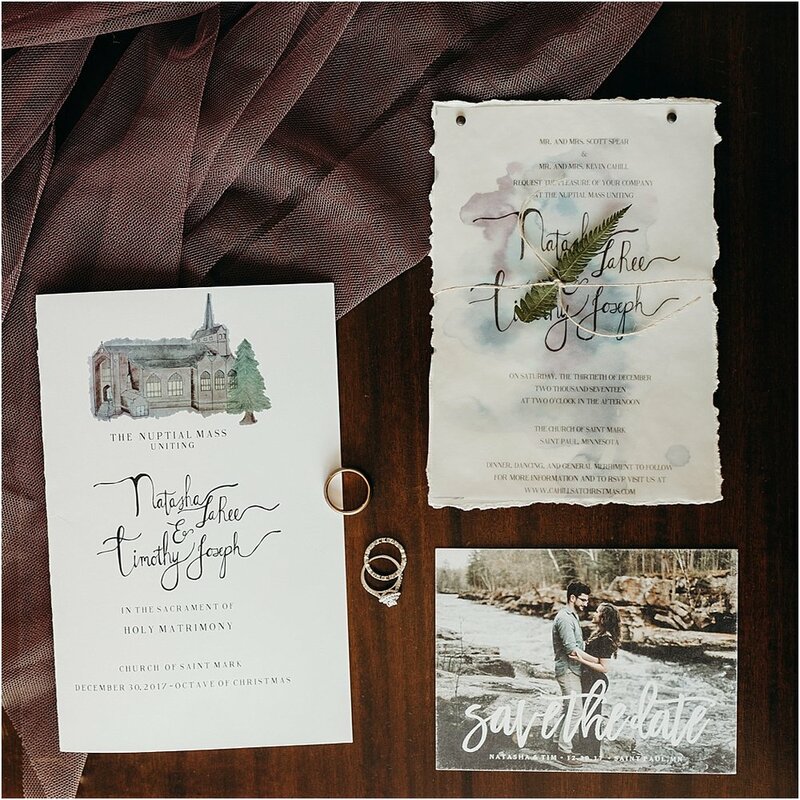 Whether it was wearing her aunt’s fifty year old wedding dress or teaching her family the art of watercolor for the invitations, Natasha and Tim’s love ignited the joy of their community. May all engaged and married people embrace this beautiful sacrament that calls the bride and groom to always serve the other as well as their community of love around them. 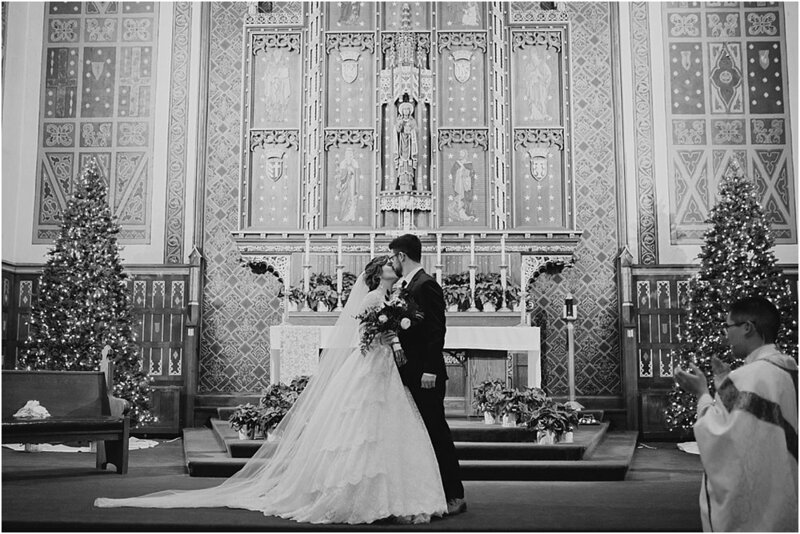 From the Bride: Tim and I met junior year at the University of Minnesota, through the Catholic community of Saint Paul’s Outreach. Our time spent as friends during undergrad was filled with a lot of discernment and growth in our personal relationships with Christ. Looking back, it is exciting to see how God was preparing our hearts as singles in ways that were going to allow us to be more "free" in a romantic relationship. A strong theme throughout our relationship has always been community. We have been blessed with a community of faithful friends and family that Christ used to guide us through this initial period of discernment. We officially started dating two and a half years after we met, right before I left for grad school, so the majority of our romantic relationship was long distance. 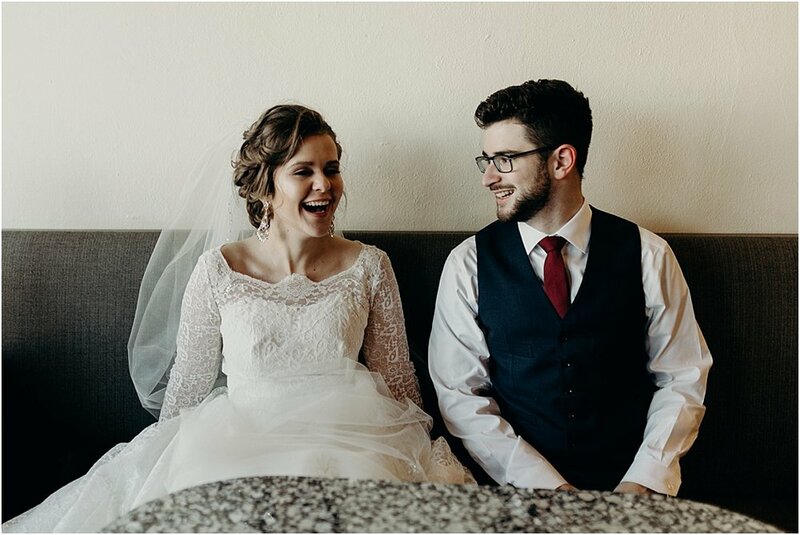 Even though the distance was difficult, it forced us to be intentional with our relationship, and the time spent as friends gave us the confidence to pursue marriage. We had to become quite creative with ways to invite Christ into our relationship such as praying together over the phone nightly. A little over a year into dating, Tim asked me to marry him over-looking the central square of our alma mater on New Year’s Eve. 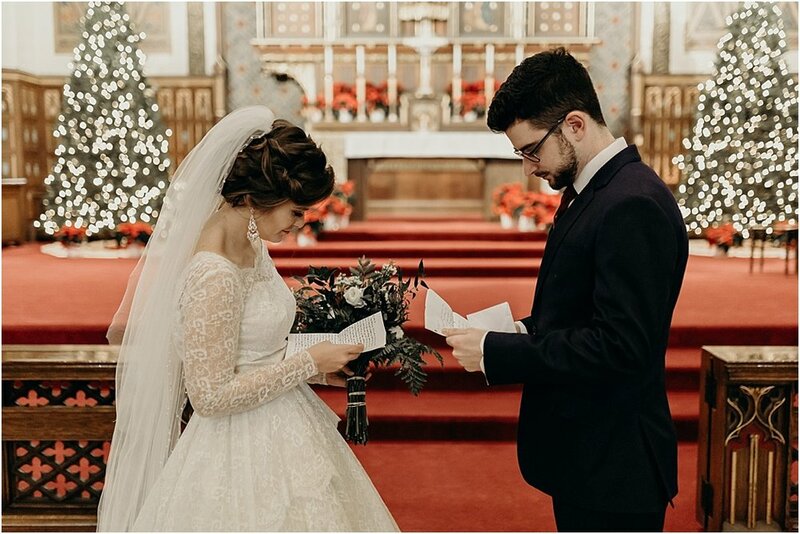 We must have a thing for romantic events in the freezing cold, because almost exactly a year later on December 30, 2017, we said our vows. 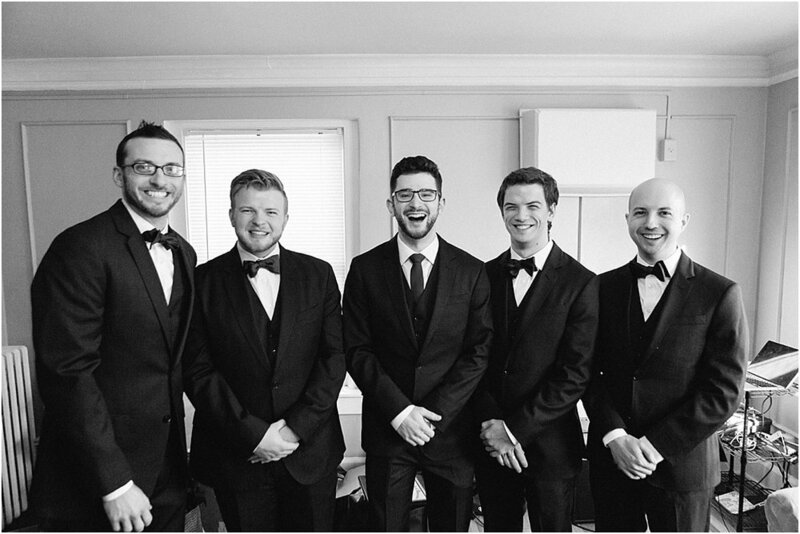 The high temperature on our wedding day was an aggressive 14 degrees below zero. Such is the gamble with a New Year’s wedding in Minnesota! But despite the cold, we had an amazing, Christ-centered day with those we love--and everyone’s cars started the next day. 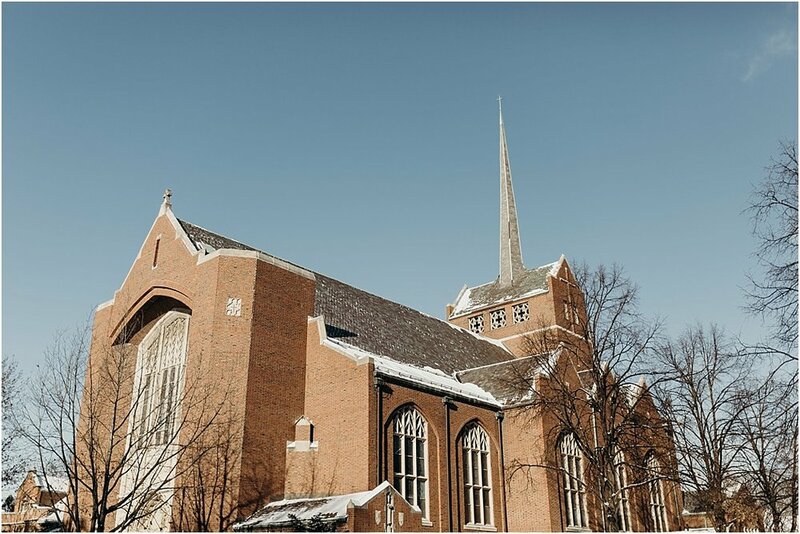 We were fortunate enough to do a majority of our marriage preparation with Father Mike Schmitz, and one of the ideas he brought up early on was how marriage and holy orders are the two sacraments that are intended to be sacraments for “others." He challenged us to take this to prayer, and it sparked a larger conversation between us about what it meant for our marriage to be something that was to be shared with others, to help reveal something about Christ to the world. We felt Christ was placing on our hearts the importance of community and marriage as a unique mission field for evangelization. As a result of this conviction, we spent a lot of time discerning unique ways in which we could invite our guests into the celebration in an intentional way. 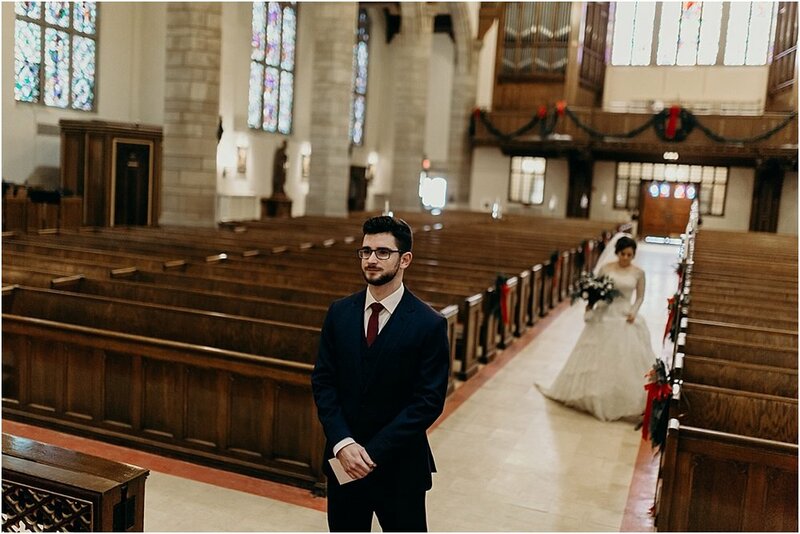 To start, we saw the personal touches the Church allows couples to incorporate into the wedding liturgy as an opportunity for our guests who were either not Catholic or fallen-away from the Church to be welcomed and invited to witness the beauty of our faith. 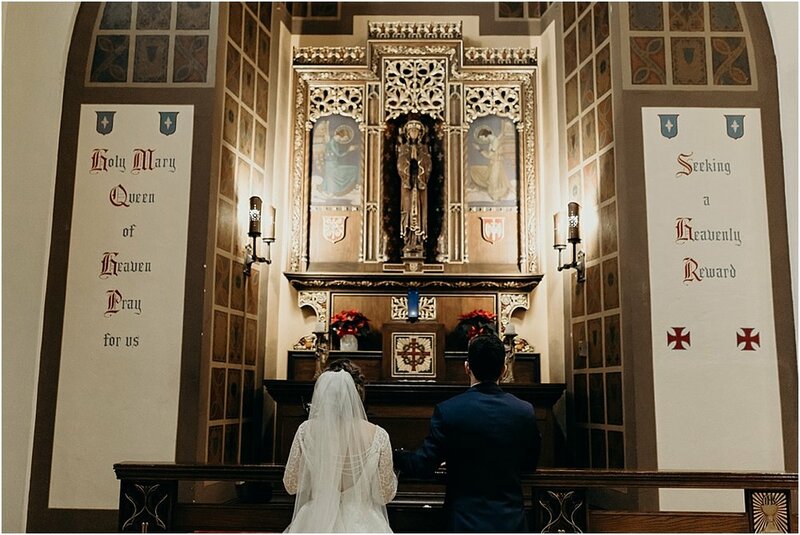 As Saint Pope John Paul II says, the liturgy would be our “profession of faith.” Father Mike was able to provide us with a really great template for our wedding programs to help explain the Mass to our guests and encourage participation. Tim’s parents are both music teachers, so it was an easy choice to have his family create a choir that did a phenomenal job setting the tone for the liturgy and leading the congregation in participation with hymns. As it was the octave of Christmas, the bridal party and myself processed in to “O Come All Ye Faithful” and we recessed to “Joy to the World.” It was such a joy to see guests with their hymnals open, belting out a favorite Christmas hymn. I felt like they were singing my dad and I down the aisle! Continuing in the theme of community, we wanted our guests to feel welcome and enjoy the reception. For us, this meant hiring a great DJ who shared our faith and vision of the day, but who could also MC well, inviting our guests into the celebration. 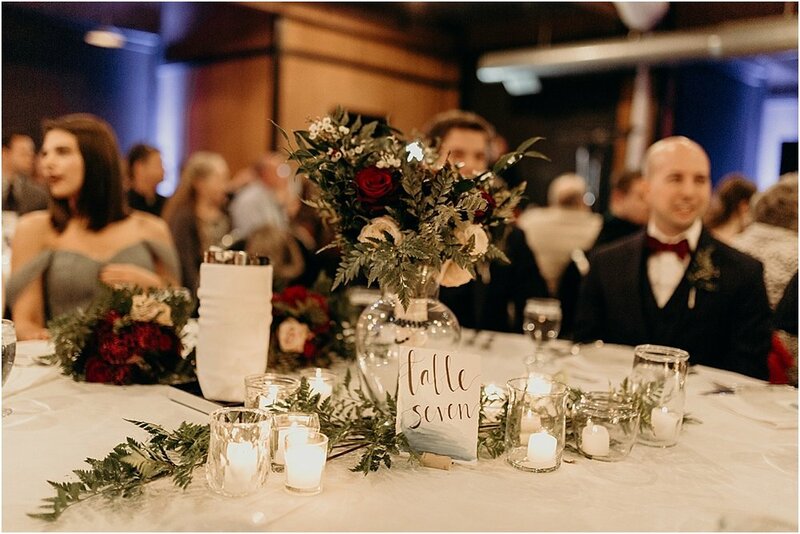 We chose a round head table for us and our wedding party that sat in the center of the room among our guests. It was one of my favorite elements because we felt surrounded by those we loved rather than set apart from them. One of our favorite memories of the reception was dancing the night away with our guests, many of whom stayed until the final song! I was able to design our invitations, programs, table numbers, and place settings. I even got to teach the ladies of my family about watercolors as they helped me finish all the invites. My mom and mother-in-law are crafty too, so I set them to work on the flowers, and together we created all the bouquets and the gorgeous fern chandelier that hung above our round head table. My mom baked the wedding cake, and a family friend made over three hundred cupcakes in our favorite flavors for the guests. 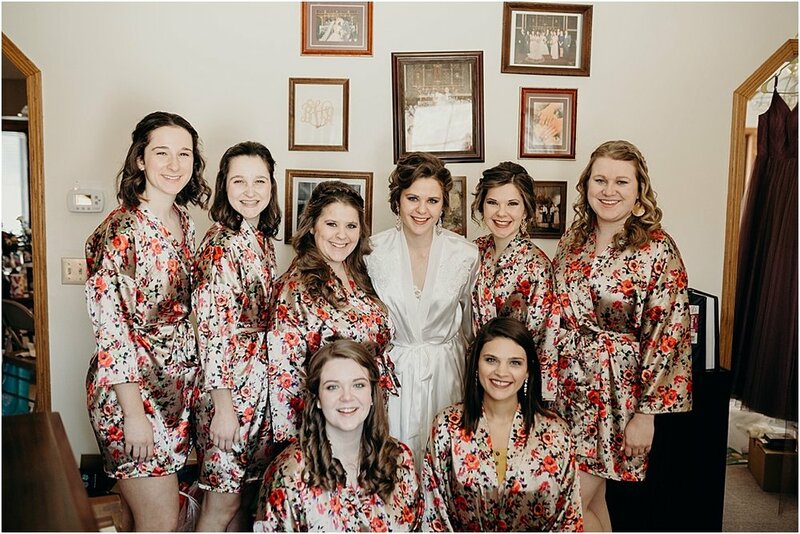 Meanwhile, my aunt sewed all the bridesmaids’ custom robes for a comfy gift the morning of the wedding, and my sister did my hair and make-up. It was such a joy to stay in my pajamas for as long as possible on such a cold morning! My wedding dress was my aunt's, who celebrated her 50th wedding anniversary with my uncle this year. 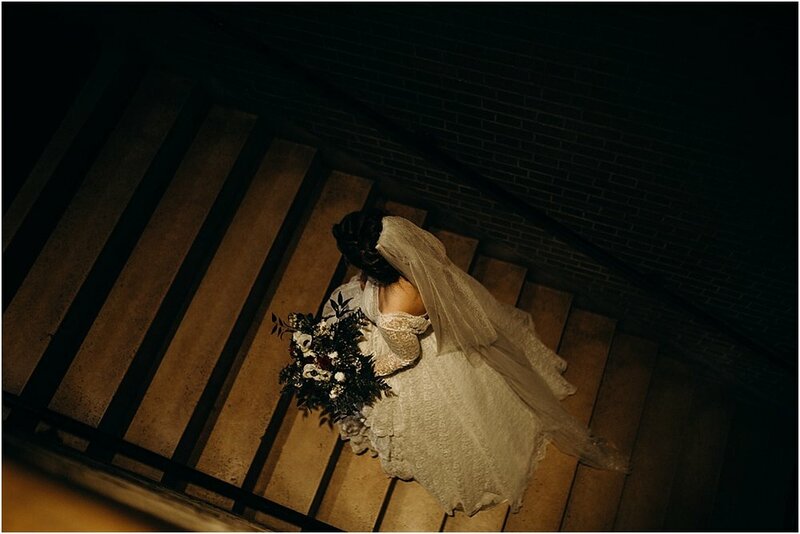 She was so honored to have me wear it, and it was truly my dream dress. My mom, who is a handy seamstress, helped to make it my own with a modern take on the back. Some advice I would give to other Catholic brides is to use your resources well. Don’t sweat the small stuff, and don’t believe the lie that you have to spend a ton of money to have a beautiful wedding. Find centerpiece items at thrift shops or trade expensive favors for a creative, late-evening snack bar (we brought out popcorn halfway through the evening as an inexpensive dancing snack that the guests loved). Use the gifts and talents of your friends and family--they are itching to help, and you will make some beautiful memories. It is also a great way to foster community and share your faith by showing others the beauty and depth of the marriage sacrament. Above all, have confidence that if you and your fiancé are focused on the right stuff (Jesus Christ), your friends and family who understand the true purpose of your day will create an environment where you feel loved and everyone is having a good time. One of my favorite memories of the wedding ceremony was singing "Tantum Ergo" shortly after communion as Tim and I knelt in front of the cross. The entire church, filled with people of all faiths and from all elements of our lives, was oriented toward the cross with us as we prayed together, and Tim and I's love for one another had brought them there! It felt like a precursor of what Heaven may be like, standing at the foot of Jesus, praising him. I glanced over sideways at Tim and had to fight back tears at the realization that this man wasn't just willing to bring me to the cross, but kneel with me humbly before Jesus. It was in that moment that no amount of stress or seating charts or color swatches could have ever mattered. Tim and I were saying “yes” to a lifelong mission of walking toward the cross together and reminding each other of our true identity as a son and daughter of God when we forget. We are building a foundation in which we can bring Christ to any person we encounter along our journey.